Should You Acidify Your Sparge Water? Should you acidify your sparge water? Probably not. Ideas filter into brewing all the time. Most of the time, new ideas simply fall by the wayside. Others enjoy a brief moment of popularity before fading into obscurity. A very few are tested through the experience of brewers, show that they make a positive difference and become a permanent part of the way we brew. One new idea in homebrewing is that you should acidify your sparge water. I will argue that, for most homebrewers, this is not accomplishing anything worthwhile. The idea behind acidifying your sparge water is straightforward. When you mash, you want the pH to fall into a range (5.2–5.6) that favors the action of the amylase enzymes. As you collect the wort and begin sparging, the pH of the runoff wort will start rising. If it rises above a pH of 5.8, excessive tannins (and silicates) will be extracted from the grain husks, leading to astringency in your beer. The idea behind sparge water acidification is to add acid to your sparge water to prevent the pH of your final runnings from rising above 5.8, and thus prevent your beer from being astringent. I have read from one prominent homebrew author and heard from another that a pH of 5.5 in your sparge water is desirable. That’s the Facts, Jack. But . . .
You’ve probably heard the saying, “A little knowledge is a dangerous thing,” and I think that applies here. But let’s start by acknowledging that each little piece of the above argument above is true. You do want your mash to fall into a reasonable range (and 5.2–5.6 is the oft-quoted range); you don’t want the pH of your final runnings to exceed 5.8 (because excessive tannins will be extracted) and adding acid to sparge water does lower its pH. However, let’s take a look at what this argument is ignoring. The third, and by far most important, thing to consider is that most homebrew does not suffer from being overly astringent. To me, acidifying your sparge water is a solution to a problem that doesn’t exist. Beer has been brewed for centuries without doing this. None of the professional brewing texts I have mention this. (In Germany, while the Reinheitsgebot was in effect, this would not even have been permitted. Incidentally, German brewers sometimes used to late runnings from one beer as part of the mash liquor for the next brew.) If you regularly brew overly astringent beers, adding acid to your sparge water may help. But if you don’t have a problem with astringency, why bother? 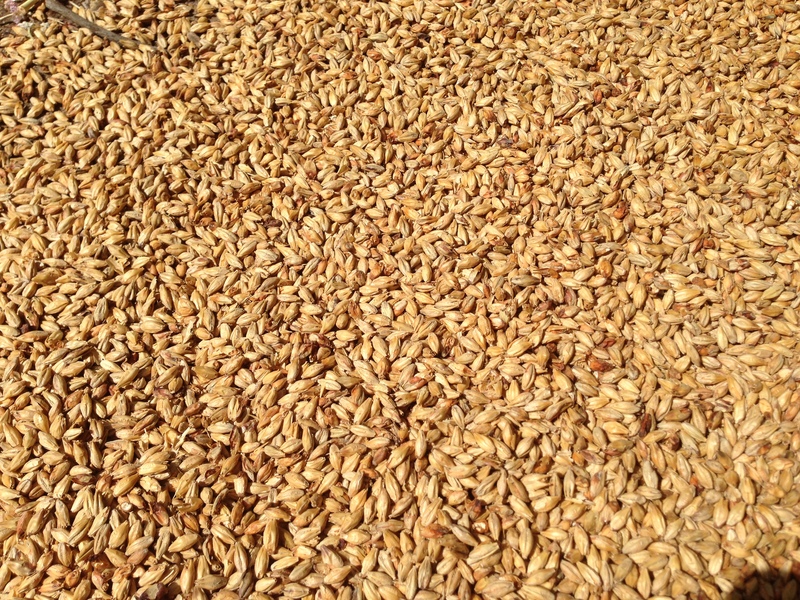 The husks of malted barley contain tannins. These can be extracted in excessive amounts at higher temperatures and pH levels. For those with a chemistry background, there’s one other way to look at this. Early during the runoff, when your wort is still at or near mash pH, the wort is not only acidic enough to prevent excessive tannins from being extracted, it is also fairly heavily buffered. (A buffer is a substance that resists pH change in a solution, and first wort has plenty of amino acids and other substances to buffer it.) Any acid in your sparge water is not doing much of anything at this point except lowering the buffering capacity slightly. The same amount of acid it would take to lower your sparge water from a pH of 7 to a pH of 5.5 is not enough to change your mash pH appreciably. (It would, however, slow the rise in pH towards 5.8 when collecting wort.) As you collect wort, the amount of dissolved solids (including sugars, acids and buffers) in it decreases and the pH rises. It’s only at the point that the pH of the final runnings climb above 5.8 (or slightly before) that acidifying the sparge water would begin to help. And at that point, almost all of the sugars have been rinsed from the grain bed. If you routinely sparge your grain bed until your final runnings are very dilute, or if you frequently yield overly astringent beers, acidifying your sparge water may be worth considering. (I would argue that collecting less work would be a better solution, but your mileage may vary.) If your beers are not unpleasantly astringent, then adding acid is at best not helping and at worst may add some unwanted flavor to your beer. How Hot Should Your Sparge Water Be? How Much Wort Should You Collect? Well said Chris, Grain is cheap and it is always better to add more grain and stop sparging when you have collected enough sugar to reach your desired gravity following the boil. 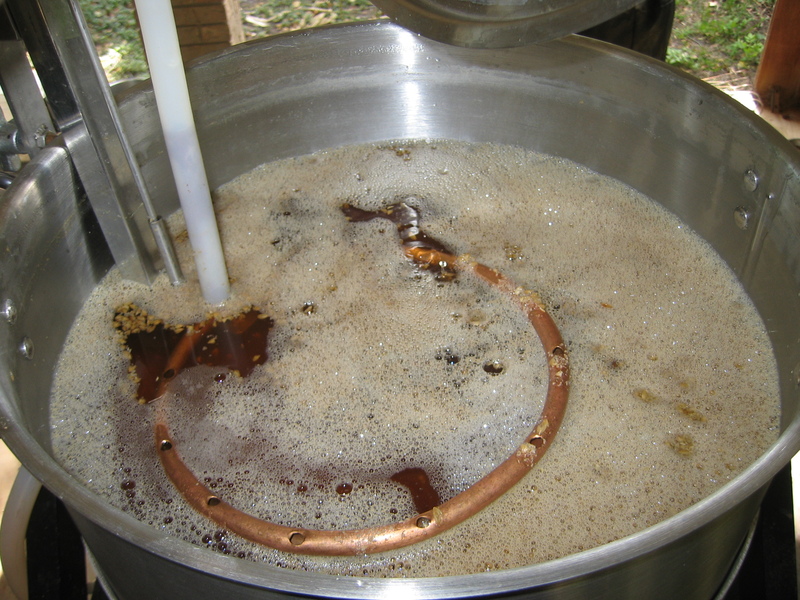 Of course you should prepare your sparge liquor properly by treating it to get the alkalinity to the level you desire for the beer style you are brewing. Most do this with acid, but there is no need to specifically drop the pH down to the levels quoted in ‘home brewing’ resources. I too , don’t like the use of lactic or phosphoric for water treatment, as they are not flavor neutral, sulphuric or hydrochloric are much better in that regard, plus they actually add desired flavour ions either sulphate for hoppy beers or chloride for malty ones. Yes, well said. “A little knowledge is a dangerous thing,” is a perfect way to sum up these sorts of measures. The bottom line is that, if one takes the time to to think it through, that extra bit of sparging really does not get you much. If you are collecting wort below 1.010-012, you aren’t collecting much desirable. It just will not make much of a desirable difference in your final beer (but it could make an undesirable one). I remember some talk about this, a few years back, on one of the more popular online forums. The whole discussion evolved from a popular desire to raise efficiency to very high levels on the homebrew scale (i.e., commercial levels of 90-95%). As you might imagine, greater sparging was one method, and acidifying sparge water was discussed as a possible countermeasure. I do not recall what all became of the discussion as I stopped following it after a little while. 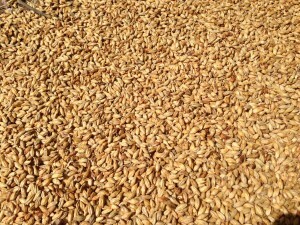 I’d just as soon add a bit more grain than go through all that trouble and risk to save a couple bucks worth of grain. That said, many homebrewers do enjoy certain challenges. It’s another practice that is adapted from commercial brewing techniques, where the practice is actually fairly common. Is it necessary at the homebrew level? Definitely not, but that won’t stop people from doing it. It’s also taught in brewing school, so I wouldn’t dismiss the practice as entirely folly. The whole acids adding flavor argument is a bit silly, because the minute amount of acid needed for sparge water acidification would never affect the flavor. It takes about a tablespoon or less for a standard batch size. I’m not characterizing it as folly. I’m just saying that most homebrewers don’t produce astringent beers, and this is likely because most don’t sparge their grain beds until the pH rises to 5.8. As with any tool or technique, it’s nice to know in case the circumstances arise in which it was useful. However, as a matter of course, I would recommend not acidifying your sparge water unless you know you are going to be collecting enough wort to put yourself in danger of excess tannin extraction. Yes, that is another productive way to look at it. Assuming your water chemistry lets you reach a reasonable mash pH, the specific gravity of your runnings is going to be low by the time the pH rises to 5.8. Acidifying your water and sparging longer gains you some extract efficiency, but at the cost of the acid and the time and fuel costs to boil away the extra wort. (For most homebrewers, I would guess that time is going to be the most important of these.) On the other hand, if you just stop collecting wort, you should be fine. I have tap water with a lot of carbonates in it, and I do sometimes dilute my sparge water with distilled water to reduce their concentration (below the concentration of my brewing liquor). So, I’m not saying that adjusting your sparge water chemistry is always a dumb move. I am saying that — for most homebrewers — sparge water acidification is a solution to a problem that either doesn’t exist for them or could be avoided (with little consequence) by stopping wort collection before the runnings climb above pH 5.8. My water is ridiculously acidic and I had some issues with astringency. A BJCP judge suggested that my sparge water was above 168F when I entered a few beers in a competition. I know this wasn’t the case, so I looked to my sparge pH. I didn’t want to acidify my sparge water, so I started using 100% RO water. While No measuring acids and I’m assured that my sparge pH will be below 6.0. Since then I have never had astringency issues. I meant my water ridiculously basic, not acidic. I live in an area on top of limestone so my water has upwards 350 ppm bicarbonate. I figured you “mistyped.” I do a similar thing by sometimes “cutting” my sparge water with distilled water towards the end of wort collection. I just add a bit of distilled water to the HLT every 5 minutes or so and keep the burner on low to heat it. Once it reaches my desired temperature, I just add a little more dH2O. By the end of the boil, the water is very low in any kind of mineral. I like to add vinegar to my sparge water. It keep my color lighter and acetic acid is volitale in the boil. I use 1/2 gal to 14.5 gal of sparge initially then top off the sparge water with tap water as needed. My water has lots of bicarbonate. Also helps keep the later running smooth and doesn’t affect taste. Small amounts of acetic acid can easily enter the yeast kreb cycle. I use white vinegar as well, but only a small amount (around a half cup) for 4 gallons. I use distilled water for sparging. I only use enough vinegar to bring it down to around 6 pH and then bring the HLT up to a vigorous boil, then wait for it to cool to around 165-170 and begin the sparge. Never had an astringency issue, even with low gravity beers. The amount of phosphoric acid used in colas is about 1000-fold more than that recommended to adjust sparge water. Measure the pH of Coke or Pepsi sometime. I would be hesitant to state that phosphoric acid would significantly alter flavor at pH 5.2-5.6. I thought the Germans sprayed their grain with acid and thus were technically still only using grain, thereby conforming to the law, it was a way around it. I acidify my sparge water with oranges or lemons (perfect for pale ales, IPA’s…) and bring the sparge pH down from 7 to about 4. This is for bright session IPA’s. The mouthfeel has improved. There is no taste issue. Citrus zest, whole fruit flesh, or do you just cut them up and put them in the mash?